iP3: WWDC 2011 “One more thing” banner? Or is it the all new iPhone 5 banner?? 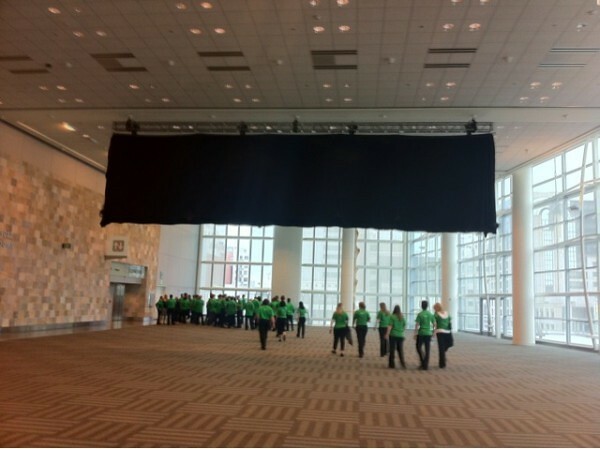 WWDC 2011 “One more thing” banner? Or is it the all new iPhone 5 banner?? A MobileCrunch editor Greg Kumparak spotted a secret WWDC banner, shown above. Does that mean we’re up for a “one more thing” moment? I think it's an iPhone 5 banner and they are waiting for the official keynote to reveal it and then take down the covers on the banner! This will boost the companies stock and make many customers happy!